Participating in Arab Health opens up a lot of opportunities for your company and your brand. You can showcase your products and services and generate business leads. You can expand your network and meet possible business clients and partners. You’ll be able to keep up with the latest trends in the health industry from all over the world. Surely, there are a lot of benefits to exhibiting in Arab Health 2017. But no matter how beneficial exhibiting in trade shows is, you should make sure that you maximize your exposure in the event. Don’t let all your effort, preparation, and money go to waste. Avoid these common mistakes when participating in trade shows. 1. Thinking that it is the organizers’ responsibility to drive people to your stand – many exhibitors pay too much attention on how the stand will look, without taking into consideration the message that they want to convey to their visitors. 2. Not getting the word out – use all type of marketing media to promote your participation in Arab Health. Run email campaigns and press releases. Leverage on digital marketing – use social and professional digital media to promote your event, pre, during, and post-event. 3. Does not follow up after the show – yes, you were able to get their contact details but without follow up, consolidated details will just be put to waste. Follow up with your leads to see what business opportunities you can work on together. 6. Not making the most of the trade show – do not confined yourself to spending all your time in your booth. Take turns with the rest of the members and check out competitors, suppliers, and prospect business partners. Make the most out of the show. 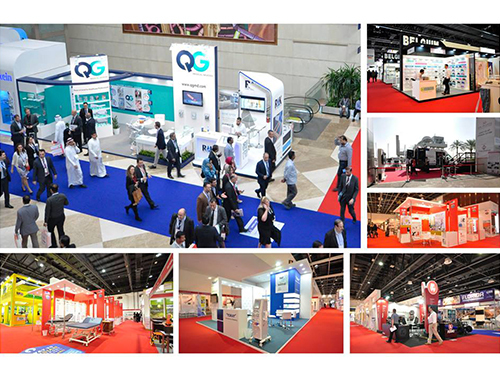 We in Boundless can help you with your exhibition needs as we have participated in Arab Health several times. Here are some stands we’ve built in show’s previous editions.